How do you optimize your website for search engines in your local business area? What is a local business? It can be a brick and mortar store, or can be a service business that travels to customer locations such as HVAC, plumbing, carpet cleaning, and more. It is our goal to be a helpful source of local SEO concepts for you. If we need to explain any of these concepts better, please leave us a note and we will work to make our explanations more clear. In addition to the four main search engine optimization principles that are found on all websites ranking at the top of Google, there are four unique ranking factors for local search marketing. 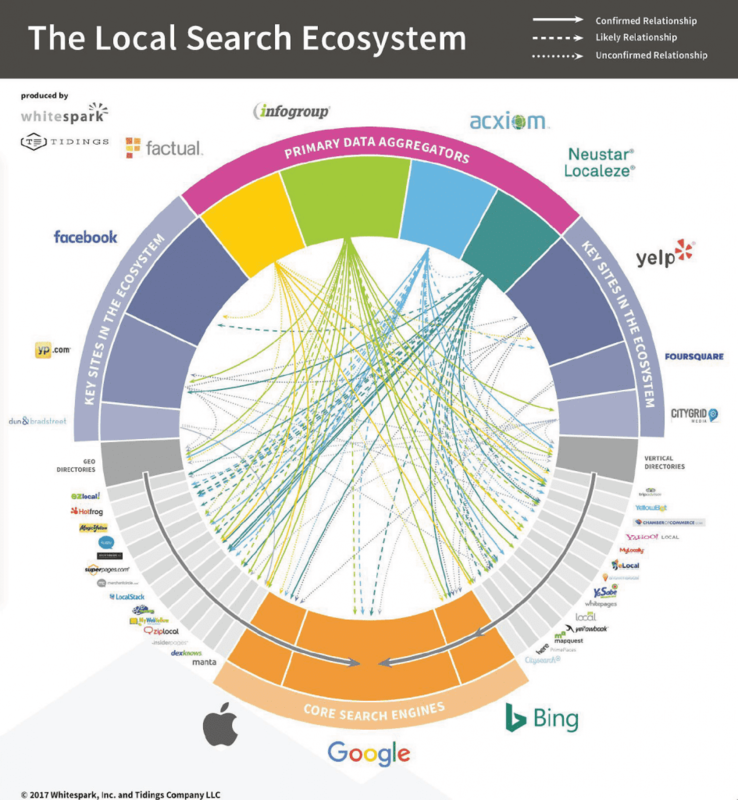 Have you ever heard the phrase, “All search is local search?” This means that search engines try to determine whether a search should pull up local results for products and services. 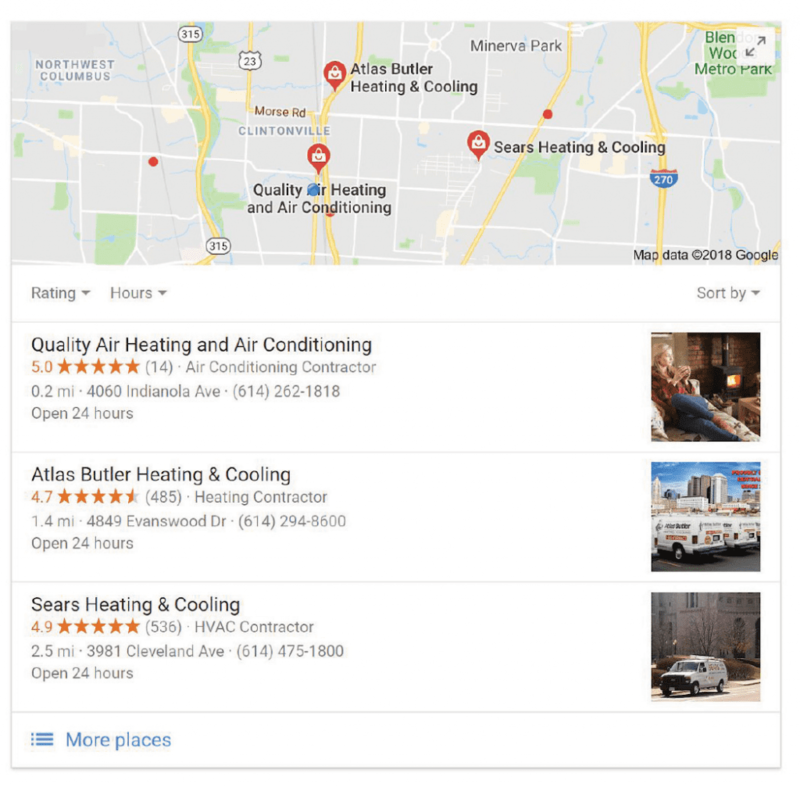 If Google sees that there is “local intent” in a search, the Google Map Pack (often called the Google Local Pack) will show up on the Search Engine Results Page (SERP). If your site doesn’t have the main local content requirements, it will not show up when people search for your services or products in your area. 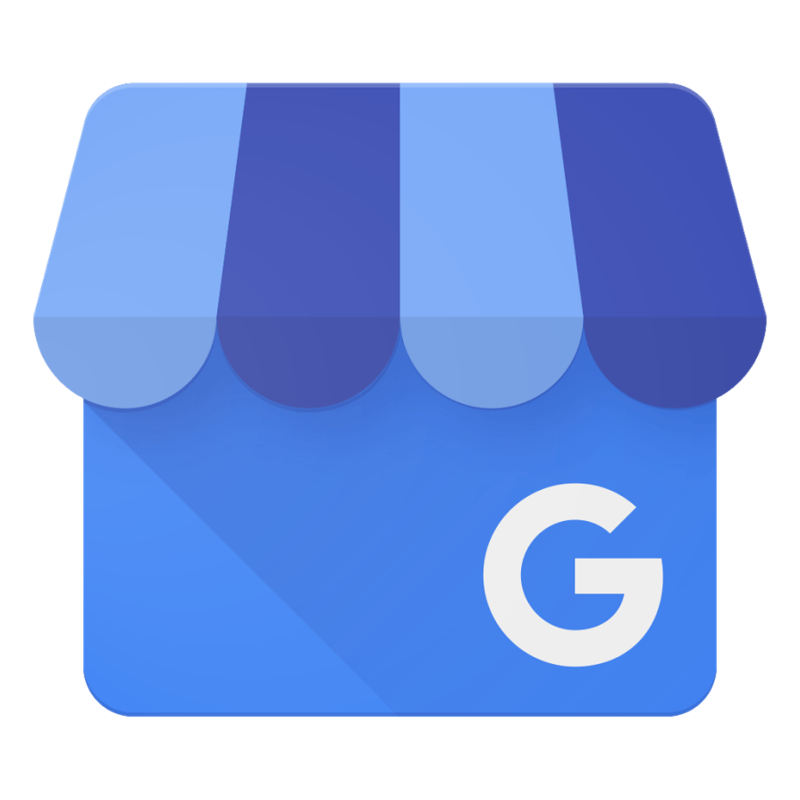 Google My Business Page: The first and most important part of local SEO is optimizing your Google My Business (GMB). GMB is how your listing will appear in the Google Local Pack, seen at the top of page one (also called the Map Pack). If you do not have a Google My Business listing, you will not show up in the Google Local Pack, which gets a huge percent of the clicks on Google. In order to get a GMB listing, you need to go to their website and register your business. Make sure you fill out your listing as accurately as possible. Google wants to see that your listing matches other citations on the internet, so your business’s name, address, and phone number must be correct and consistent. Local and relevant citations, listings, and directories: Citations, listings, and directories keep track of your business name, address, and phone number (NAP). Search engines are constantly comparing your NAP across the vast local data provider network. The more your NAP is consistent, the more the search engines will trust that your location is reliable. Some of the main locations where you will need to make sure your local data is correct include Facebook and other social media sites, Yelp, and the other main data aggregators on the internet. There are also local business directories that may be relevant to your industry. Whitespark provides tools to find hundreds of the best niches and local directories that fit your business needs. This step in local SEO will take some time, effort, and patience, but it is worth it if you want to rank high in your local search results. Location information on your website: Make sure you have your location information and your business name, address, and phone number in structured data so the search engines can read it. You can use schema.org to make sure your location is formatted correctly on your site. If you are a service area business (SAB) and you travel to your clients, you will want to create service area pages on your site for each town or city you provide service in (generally no more than 10). 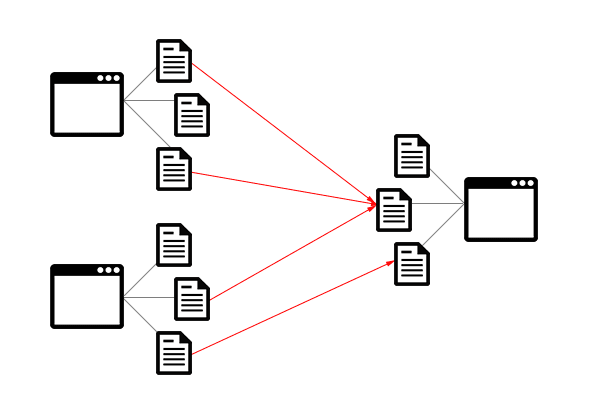 This will give you the opportunity to use location keywords and it will allow you to send geo-encoded signals to search engines through tools like Nearby Now. Nearby Now not only helps send geolocation signals to Google, but it also helps you create a visual service heat map on your website. 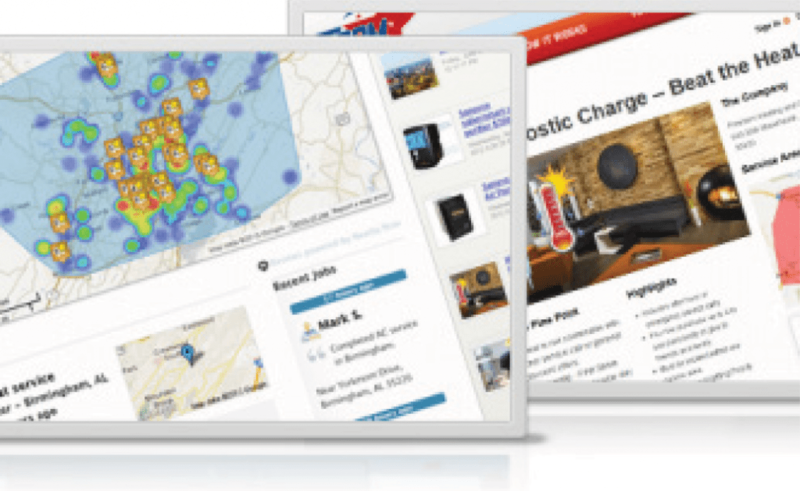 This lets your potential customers see exactly where you provide your services. Most importantly, it helps you increase your reviews on Google, Yelp, Facebook, and on your site. Reviews: Online reviews can help search engines understand more about the services you provide. A Nearby Now integration helps your service professionals get more reviews from your customers. Getting reviews on a regular basis helps Google understand more about your business and the level of service you provide. Google reviews also help your Google My Business listing (in the Google Local Pack) stand out from your competition. Local businesses with a lot of good online reviews tend to get more clicks. Integrating Nearby Now with your service area page enables five-star reviews to show up in your organic results, which will set you apart from your competition. Local links: Providing relevant information to your local community makes it easy for other local websites to link to your site. These local links provide “local authority” and can have a huge impact on your local search engine rankings. 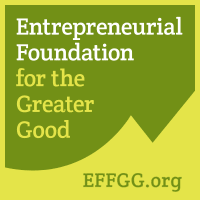 Any time you donate to local organizations or sponsor local events, ask them to link to your website. If you are not sure how to implement your local SEO, you can apply for a free local SEO audit with one of our digital marketing experts. You can also download our free local SEO guide to help you rank at the top of Google in your local area.